Home > Credit 101 > How Fast Can a Secured Credit Card Improve My Credit? Articles originally published February 23rd, 2015. Updated October 29th, 2018. If you’re trying to build credit for the first time or improve a credit score that has been damaged by past financial problems, you may have heard advice about using a secured credit card. Using a secured card can be an effective way to establish a positive credit history, but it’s not a one-size-fits-all strategy. For some consumers, using a secured credit card can help their credit within as little as six months of opening the account — for others, notable improvement can take much longer. A secured card is, as the name suggests, is secured by a deposit — say, $500 — that serves as your credit limit. If you fail to make a payment, the credit card issuer can take your deposit. Besides that, it works just like an unsecured credit card, or what you might consider a “normal” card. To build credit using the card, you should use as small a portion of your available credit as possible, because a low credit utilization rate will help your credit score, and you need to make your payments on time. Payment history has the greatest effect on your credit score, so you want yours to be free of missed or late payments. Who Benefits From a Secured Card? You may want to get a secured card if you have no credit history or have a poor credit history — basically, if you can’t get any other kind of traditional credit card, this is your ticket to getting your credit score up. How things progress from that point depends heavily on what’s in your past. “My general experience is that someone who has no credit is likely to benefit more quickly from a secured card, because there’s no negative information — there’s just no positive information, so in as little as six months someone who is just building credit can get an unsecured credit card,” said Gerri Detweiler, Credit.com’s director of consumer education. If you have a history of delinquencies, collection accounts or any other negative information on your credit report, it could take a while for the secured card’s activity to turn around your credit score, but it’s worth the time and effort. Credit scores have a serious impact on many aspects of your finances, so it pays off to improve and maintain a good credit score. It also helps to monitor each credit report from the three major credit bureaus to make sure all the information the reports contain are accurate and free of mistakes and errors. Can I Raise My Credit Score in Thirty Days? It can be possible to raise your credit score in thirty days if you can raise your available credit, correct any errors on your credit report, become an authorized user on someone else’s credit card account, reduce your debt-to-income ratio, or make your payments on time. A secured credit card account is a good way for you to raise the amount of credit you have available and show that you can make on time payments so you can improve or rebuild your credit. The length of time it takes to improve your credit score is dependent on the type of negative information that is found on your credit report. For example, the recovery time when you close an account is approximately three months. This timeline is also applicable when you max out a credit card account. If you miss a payment, your recovery time shoots up to eighteen months and has a significant impact on your overall credit score. How Long Should You Wait in Between Secured Card Applications? Typically, you will want to wait at least six months between credit card applications so your chances of being approved for the credit card are significantly higher. Six months also happens to be the average length of time it may take for a secured card to begin to improve your credit. Using credit cards can have a major impact on your FICO score and using a credit account properly can help you establish credit history, repair bad credit, and improve your overall credit rating. Many of the companies offering secured credit card accounts also give the consumer access to their FICO credit score on a monthly basis which makes it easier for you to track your progress and make any changes you need to make to improve your credit. Once Approved, How Long Does it Take to Receive the Secured Card? Once approved for a secured credit card, you will typically receive the card in the mail within two to three weeks following approval. Don’t forget that you will still need to make your initial security deposit to the secured card prior to receiving your card. 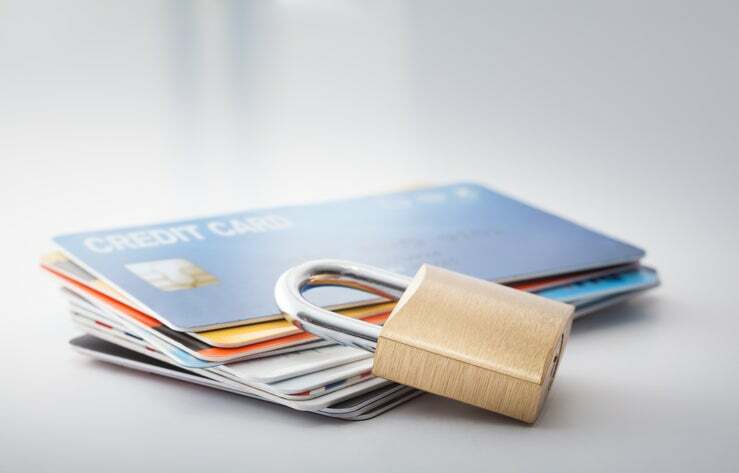 If you are looking to use a secured credit card to improve your credit rating, you should also know that some secured card issuers do not report to the credit bureaus. Therefore, it is important that you do your research when choosing a secured card if your goal is to improve your credit. While you may be excited to get your card and start building your credit, you do not want to overlook the fine print that discusses the fees. Common fees for a secured card often include initial setup fees or activation fees, credit increase fees, monthly maintenance, balance inquiry fees, an annual fee, and others. Also keep in mind that the total of all of these fees of the credit card issuer will take away from your initial security deposit amount. For example, if the fees come out to $100 and your deposit was $300, your available balance will only be $200. Always make sure that the fees associated with the secured credit card are reasonable and ensure that the card will be able to help you reach your goal of improved credit. You may also want to consider finding a secured card that offers some type of cash rewards as incentive as well.